I met you at the recent Points of Light conference. I am currently recruiting and interviewing for an upcoming volunteer training at our organization and would appreciate any advice you could share about a situation I am facing. A few of the applicants we interviewed last spring had poor references or we just did not think would be a good fit for our organization. At that time, since we had no standard wording or policies for rejecting candidates for not being a good fit, I was directed to simply inform the candidates that our classes were full. Of course, now, these individuals are starting to reach back out to complete the upcoming trainings scheduled this fall. Do you have suggestions for how to let volunteer applicants know that they are not a good fit? Thanks for reaching out. I am happy to provide a few suggestions and tips – and know that I fully support you in declining candidates who are not the right fit for the organization. Before we focus on wording, let’s consider first the overall policy and processes that are vital to setting the stage so that these awkward situations can be avoided in the future. Implement a clear application process. When all individuals are expected to apply for a volunteer position, then it’s clear that the organization will be selecting only those individuals who are right for the available positions (and that means those who will benefit your organization as well as those who will be successful given the training and support you are able to provide). An application process is important as part of your organization’s risk management planning and it also makes it clear that not all individuals who want to volunteer will necessarily be accepted to volunteer. Create a comprehensive screening policy. It is important to have a comprehensive screening and placement policy that allows for outright declines/rejections of candidates who are not the right fit or who don’t pass your background checks or basic skills requirements. By having a screening policy and protocol (i.e., required application, interview, appropriate background checks), you have the tools to decline applicants when needed. 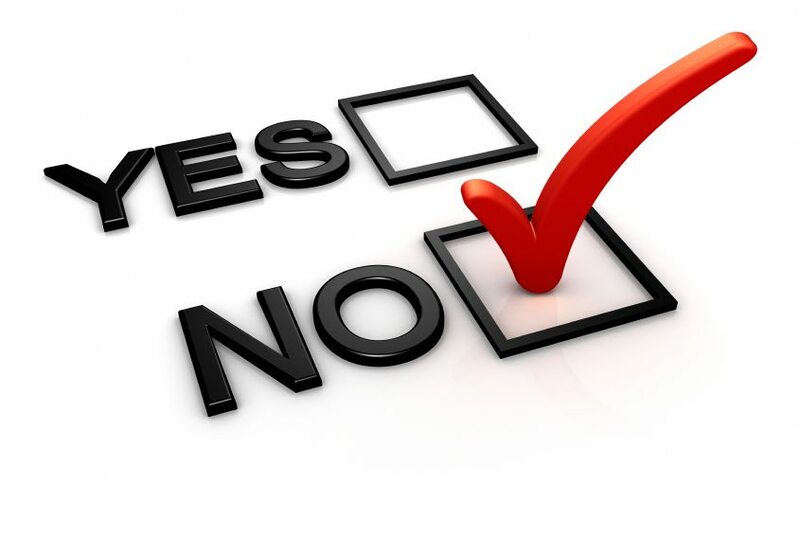 It’s always better to decline a candidate rather than simply state that they are not the right fit “for now.” Putting off the rejection simply means postponing the inevitable. Unless you want them to come back and reapply at some point in the future, you are opening the door for the situation you are currently facing. Offer provisional acceptance – clearly stating that the applicant has a limited period of time serving in a role under provisional status, with the understanding that the candidate will be reassessed within 4 weeks, for example, and both parties – the volunteer and the organization – would have the right to state that it isn’t the right fit. Depending on circumstances, another position may be offered or considered at that time. This is a great option if the screening team is “on the fence” about a candidate or if the position requires special skills or a lot of on the job training. On the other hand, such provisional acceptances require the time and capacity for each re-evaluation/assessment. So, don’t include this option if you don’t have capacity to implement it. Decline for the position in question, but offer to “keep on a list” for a future, more appropriate position (I would not recommend this for an individual with poor references or other significant concerns; this should only be offered if there truly may be an opening that would be appropriate). Reject the candidate’s application. In this case, a prompt, clear reply is warranted. Communicate rejections clearly and promptly. In turning away a candidate, it’s important to be clear, concise, and brief. While some experts recommend doing so by phone, I strongly encourage to follow up in writing regardless of whether you call. Having a written record is important. In terms of content, remember, you do not owe a candidate a lengthy explanation of why s/he is not being accepted. Explanations only invite rebuttals and that won’t serve anyone well. It is within the organization’s right (and fact, responsibility) to accept only individuals who can be successful and who are qualified for the available positions. Thank you for your interest in volunteering with our organization. We have a limited number of positions available for which we are seeking specific skills. We do not have a position that fits your particular experience. Thank you again for your time and we wish you success in finding the right fit for your volunteer interests. Only use this if, in fact, you have limited numbers of available positions. Thank you for taking the time to apply and interview to volunteer at our organization. While we appreciate your interest, we do not believe that your skills are a good match for our volunteer needs or that we could adequately meet your needs as a volunteer. To find an organization that will benefit from the experience you bring, we suggest you contact our local volunteer center or contact XYZ agency. Only refer him/her to another organization if, in fact, you think the candidate would be a benefit to another organization. If serious concerns have arisen through the screening process, it isn’t fair to pawn the candidate off onto another organization. Thank you for your interest in becoming a volunteer at our organization. Through our screening process, we have determined that your experience is not the right match for our organization’s needs and so your application will not be moving ahead in the process. Thanks again for your interest. Remember, investing in this process now will pay off in the end. Excellent advice which applies to both the volunteer and paid arena. The tips here translate well to being kind, concise and direct with any applicant to any position. Thanks, Barbara, for pointing out that, in many instances, best practices in volunteer engagement also relate to human resources and, frankly, just simple, good communication. We appreciate your comment. VQ VOLUNTEER STRATEGIES is a registered trademark of VQ Volunteer Strategies LLC.